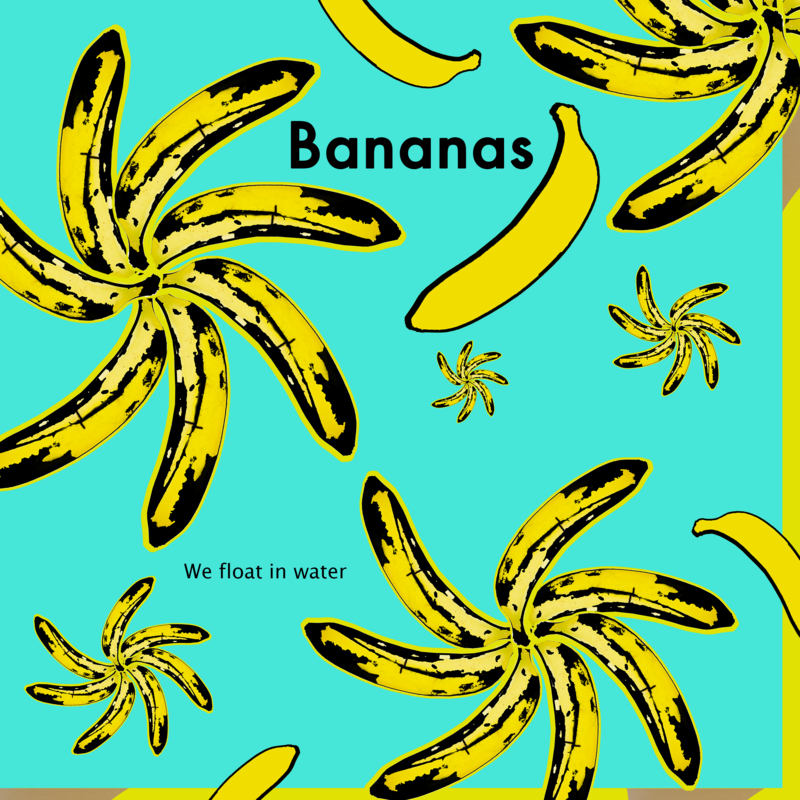 I had fun with the banana for my Velvet Underground post, so I made some more art featuring bananas. I basically multiplied the bananas to make them look fun and free. The banana, minus the tomato, has always been my favorite fruit, and they are pretty much a super food. And they seriously float in water. If I ever find myself on a deserted island my first thought will be: I hope banana plants are a native species. g. The Washington Banana Museum is a thing, let’s go! Rubbing a mosquito bite with the inside of a banana can help reduce the itchiness. Just another reason why bananas are my top pick for this deserted island. 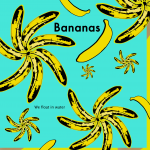 One other unique thing I found while researching this fruit: Bananas are said to be bad luck on fishing boats, a superstition that dates back to the 1700s. I chuckled at this, since they are one of the few fruits that can float. Can you imagine tossing something overboard that scared you, only to have it rise from the depths, follow and haunt you throughout the rest of your trip?